Corns can be found on the top of your toes as they develop from direct pressure from footwear because the ill-fitting shoe rubs on the prominent toe joint, shearing forces cause an injury to the localised area of skin, causing your body to make more skin to protect itself. Over a period of time, the central area of pressure develops into a corn. This corn presses onto the deeper blood vessels and nerve ending in the dermis causing pain. 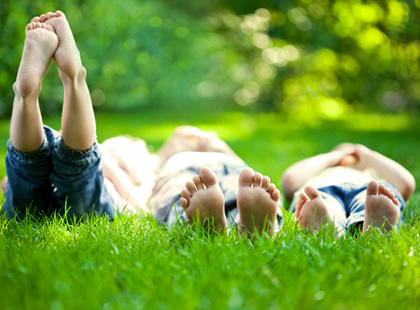 Podiatrist's carefully remove the corn painlessly, adhere appropriately padding to redistribute the weight off the area which allows the area to heal. Footwear advice is essential for the prevention of reoccurring corns to develop. 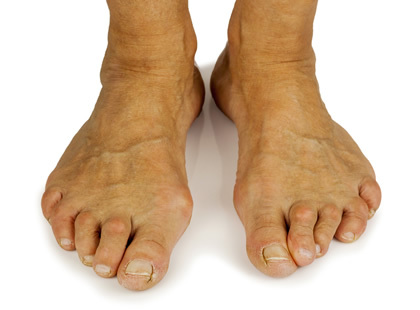 Soft corns occur in-between your toes where the toes rub together. Treatment is the same as above. Long term prevention includes wearing "Silicon or Foam" sleeves or wedges on the specific toe, once the area has healed, to prevent ongoing pressure corns. Callus is a thickened area of skin on the sole, side or heel of the foot. Callus develops as a response to repeated friction or pressure and it can be also caused by the loss of fatty pad on the sole of your feet. Sometimes your foot type can make you susceptible to the occurrence of callus build-up, ie. Pes Cavus foot can present with prominent pressure areas resulting in callus formation and corns. We can remove the callus painlessly, adhere appropriately padding to redistribute the weight off the area which allows the area to heal. Footwear advice is essential for the prevention of reoccurring callus to develop. The use of Orthotics / Insoles is also useful to manage this problem.